Having been office bound for the past few days, my nose in several books at once and fingers dancing over a hot keyboard as I look up bookmarked websites, gathering information for another Bald Explorer script, I had the chance to take to the hills today. The sun appeared unobstructed by the recent rain clouds and I was determined to make the best of it. 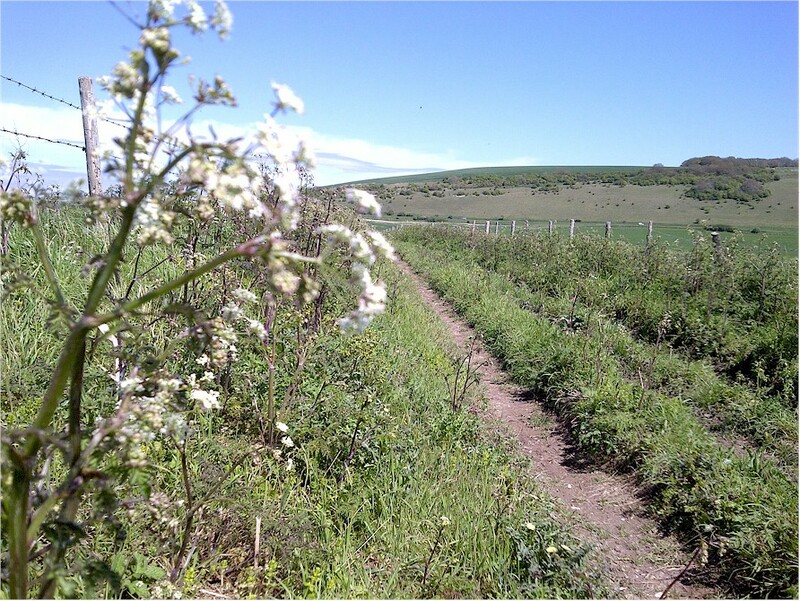 Fortunately for me the chalky white undulating South Downs are not terribly far from my abode and within a few minutes I had navigated my car into a trusty car park on top of Salvington Hill, just above Worthing, West Sussex. Once changed into my walking boots I was off. Naturally a few dog walkers had popped out and were exercising their animals, stooping every few minutes to pick up the nasty stuff that plops out the ugly end of the excitable creatures. I do not own one of these beasts, but I always marvel at the short distance many of these people actually travel with their pets. You would think that walking was the main purpose for investing time and care by owning such canine friends, but it would appear not as I soon found myself leaving them far behind. Apart from the exercise and the intake of fresh air, I find walking incredible stimulating for the brain. I allow my mind to wonder, or perhaps daydream as I stroll on my merry way along the rural byways of the great rolling Sussex uplands and downlands. If I have a problem I can hand it over to the subconscious mind to ponder on as I take in the sunshine and gaze at the beautiful scenery around me. I find that worries and concerns begin to ebb away as my feet engage with earth and one leg in front of the other takes me methodically forward deeper into the countryside and away from the rat race of the town I have left. 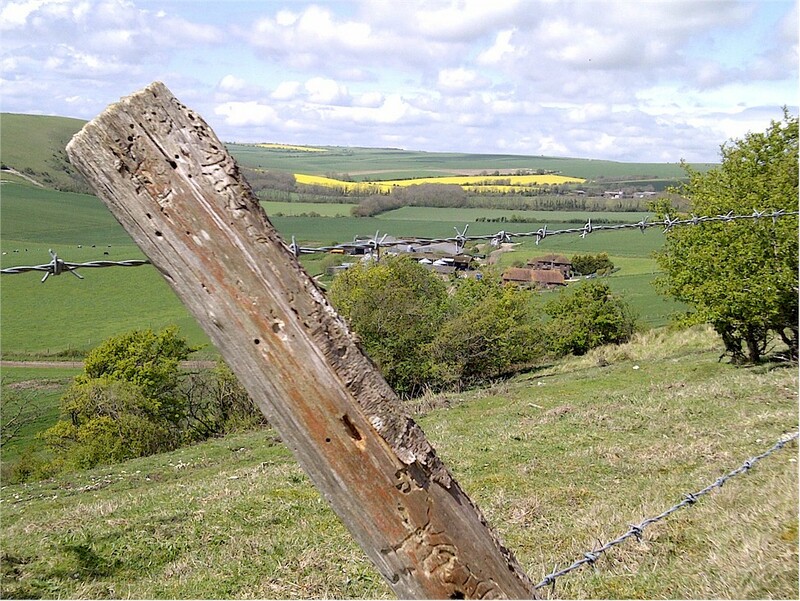 The splendour of the Sussex countryside walk. When the spring is in full flight, as it surely is now, it is most definitely the time to make an effort to get away and enjoy what nature has to offer. I love it. I would walk every day if I didn’t have to make a living. I’d explore new parts of this wonderful country we call England, jot down everywhere I go and take photos for my blog. I do feel lucky living in this part of the world where there is the ever changing scenery, not to mention beautiful terrain and all riddled with walkways and enticing paths to investigate, either straightaway or in the near future. You don’t have to make an excursion onto the South Downs, or whatever your local area of natural beauty is called, a big deal and go hiking for miles and miles to feel the effect they have on the soul. A short jaunt of an hour or so is plenty to recharge the batteries. If the sun comes out I know I am chomping at the bit to be away from the desk and really there is no excuse to not pop out at lunch time or in the early evenings. If you get the chance, you should do the same. You wont regret it, I assure you.